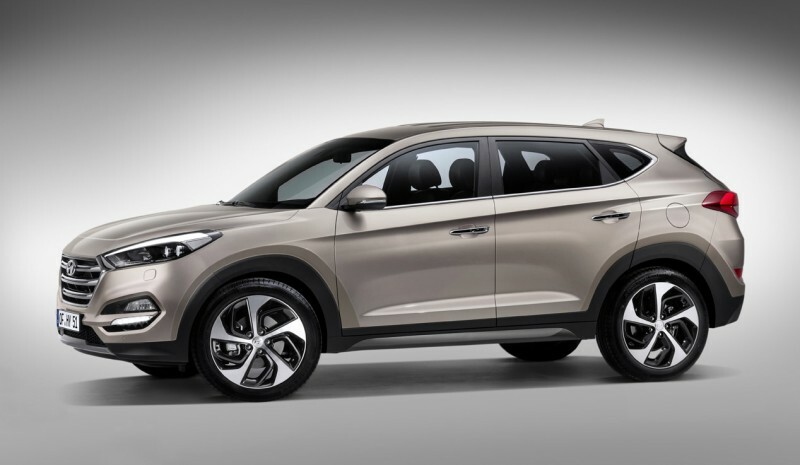 The third generation of compact SUV Hyundai for Europe again uses the name Tucson, after the latter has been called ix35. The new Tucson 2015 It opens big at the upcoming Geneva Motor Show, which will take place during the first days of March in the Swiss city. On arrival at the dealers European stock is provided from second semester of this year. Ix35 respect to the New Hyundai Tucson 2015 is 6 cm longer (with a total length of 4.47 m), 3 cm width (a total of 1,85 m) And two lower cm (one height 1.64 m). 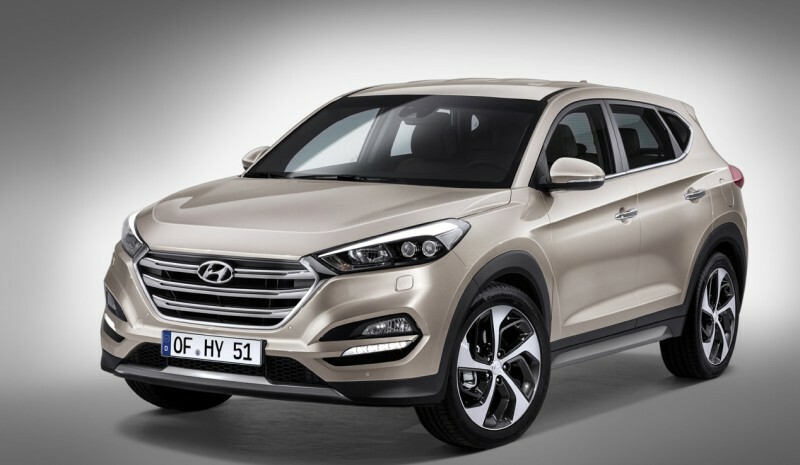 Meanwhile, the wheelbase grows 3 cm to total 2.67 m. With this increase in the external dimensions and a redesigned interior, Hyundai It ensures that the habitability and the space available for the occupants of the new Tucson improved slightly. On the other hand, trunk also sees increased its cargo volume to a total of 513 liters (Vs. previous 465 liters which homologaba ix35). Mechanical range 2015 Hyundai Tucson It will include five powertrains and tailored to the anti-pollution standard Euro 6. Gasoline, 1.6 atmospheric be offered GDI 135 hp and a turbocharged 1.6 T-GDI 176 hp, Meanwhile in Diesel will be available one 1.7 CRDi 115 hp, 136 hp 2.0 CRDi 2.0 CRDi and 184 hp. To highlight the possibility that the gasoline engine 1.6 T-GDI can be combined either with a manual gearbox with six gears or, alternatively, with an automatic dual clutch 7DCT 7 speed. The new Tucson It incorporates some of the aesthetic details already seen in the latest products Hyundai. These include the frontal, which dominates the new front grille hexagonal connected with Led headlights, plus a redesigned bumpers and more prominent. Seen in profile, it is where nature is accentuated SUV of the Tucson, multipart body wearing 'muscle' and strength. 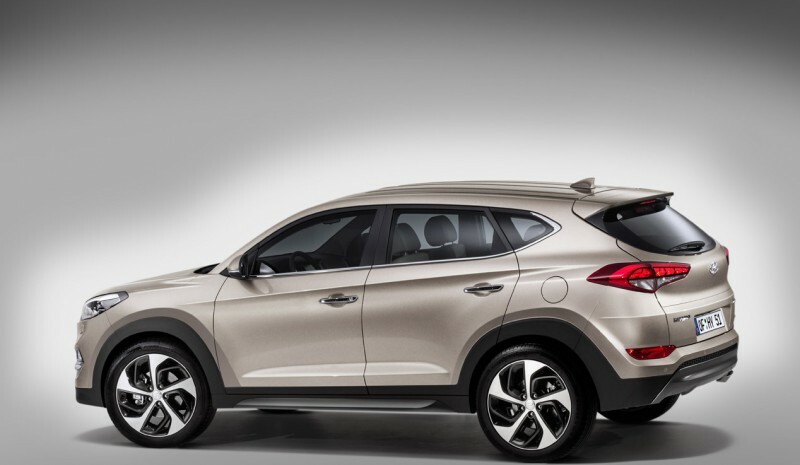 At inside, Hyundai You want to bet on the quality in the development of its new Tucson. As has happened in recent releases car, the interior has been simplified with fewer buttons and less 'liosos' controls for the driver. In the first photographs, we observe a tone leather seats 'red red'. Over the front seats, the South Korean firm has confirmed it will have ventilation and heating system. 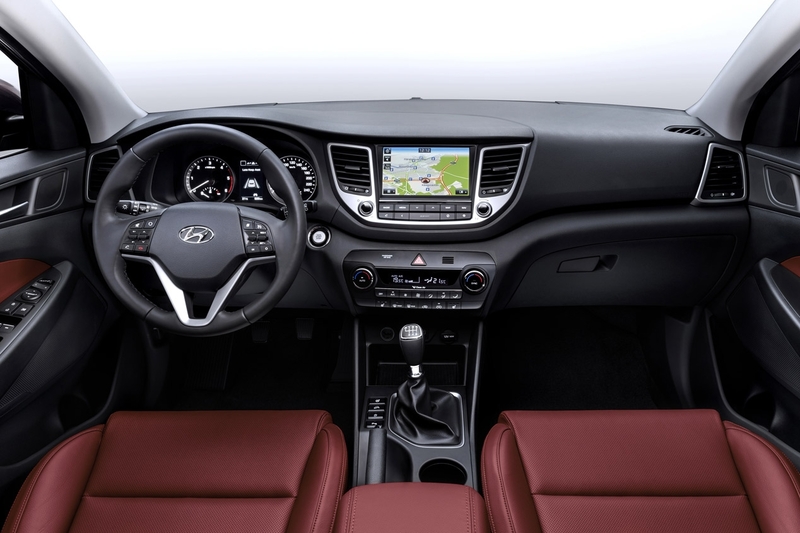 At New Hyundai Tucson 2015, They include various items of equipment such as Intelligent opening the tailgate (It opens automatically to ensure proximity smart key) and Smart Parking Assist System System (SPAS) or automatic parallel parking. He navigation system New generation Tucson 2015 It is up to three times faster than the one used in the latest models of Hyundai. This multimedia system comes with a free subscription to seven years TomTom Live services (Subject according market specifications). In terms of security and of driving assistance, he New Tucson 2015 incorporate interesting devices like the autonomous emergency braking system -with three operating modes: pedestrian, city and interurban. Also include the control and monitoring of involuntary lane departure (Reaches influence proactively in the direction for the car to continue driving in the right lane), the system of cross traffic alert in the rear area (uses a radar that controls up to a viewing angle of 180 degrees), control dead angle, traffic and information signs and speed limits active bonnet, which rises to cushion the blow and minimize injury is struck to a pedestrian or cyclist.